Bradley Roby’s patience is likely to pay off in his free-agent season. 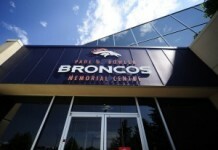 That was Bradley Roby’s request to the assembled media at the Denver Broncos’ headquarters in May. Aqib Talib, one of the most accomplished – and let’s say colorful – cornerbacks in team history, was traded to the Los Angeles Rams six weeks prior, leaving the starter’s role in Roby’s hands. By reflex, television reporters, radio hosts and sportswriters all wanted to know if Roby thought he was ready to fill the void created by Talib’s absence. It wasn’t necessary, though – Roby knew he was all along. 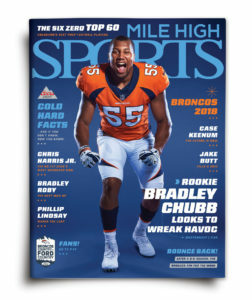 Roby was the Broncos’ first-round pick in 2014, selected 31st overall instead of 32nd thanks to the Broncos’ humiliating, 43-8 defeat in Super Bowl XLVIII to the Seattle Seahawks. The Broncos, who assembled what was, statistically, the greatest passing offense in history, were favored coming into the game, but left knowing that the old adage turned out to be true: defense wins championships. General manager John Elway, all too familiar with losing Super Bowls in embarrassing fashion, went into the 2014 campaign with every intent on making the team’s defense as potent as its offense already was. In that offseason, Elway added Talib, Ward and longtime Cowboys pass-rusher DeMarcus Ware to the defense, and reinforced the offense by adding receiver Emmanuel Sanders; a weeklong spending spree in March that added four Pro Bowl starters and totaled over $125 million dollars. Roby was drafted fewer than two months later. The speedster out of Ohio State tumbled down the first-round ranks after a pair of minor off-field incidents and too many big plays surrendered spooked some other teams away. 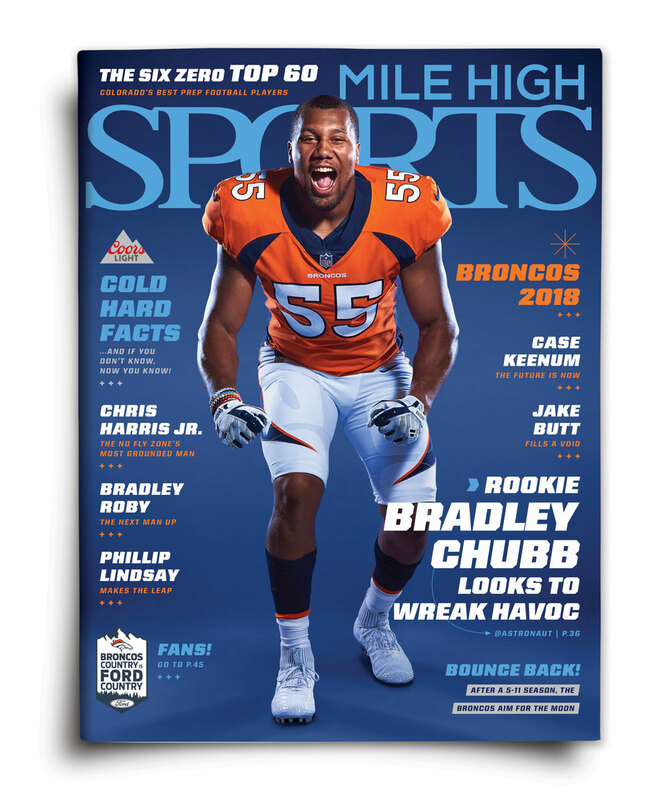 The Broncos, however, noted that Roby’s phenomenal athleticism made him a better man-to-man defender, and Urban Meyer’s Buckeyes ran the zone in most situations. He hasn’t missed a game since, and despite being the third cornerback, his playmaking abilities have been on full display. Roby led the league last year by allowing a catch on only 17.4 percent of contested passes, and his quick hands forced 28.9 percent of the passes thrown his way into incompletions; the third-best rate in the league, according to Pro Football Focus. The Broncos’ all-time leader in defensive touchdowns is defensive back Billy Thompson, who had seven in his 13 seasons with Denver. Roby has already collected three in his four seasons, to go along with six interceptions and four fumble recoveries. His 10 turnovers in four seasons compares favorably to Talib, who generated 11 over the same span of time… and Roby’s taken 742 fewer snaps. Despite that, the Broncos’ defense created only 17 turnovers last season, one of the worst totals in the league, and bafflingly low for a unit that’s widely considered to be among the NFL’s best. Roby expects that to change this fall following the addition of first-round pick and promising pass rusher Bradley Chubb. Frankly, it’s hard to nitpick the Broncos’ defense because they were too often left on an island; the soul-crushing ineptitude of the team’s offense too often put the overworked defense into no-win scenarios. 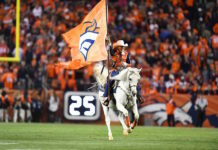 With the addition of quarterback Case Keenum, Roby hopes that the immediately upgraded offense can now score enough to let who he calls the Broncos’ “dogs” off their leashes. It certainly sounds like Roby has taken that lesson to heart. Walking through the Broncos’ locker room over the past few seasons, there was one constant: Talib’s sharp-edged voice bouncing off every wall; joking, trash-talking, or taking his teammates to task when necessary. 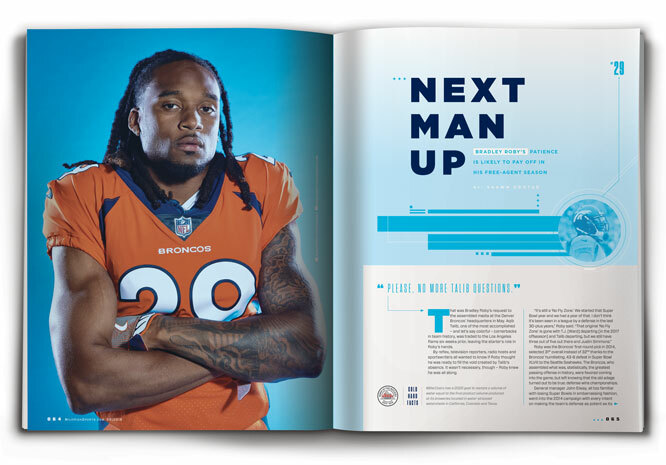 Talib earned that respect as a team leader over the years, but Roby’s quiet demeanor lends itself to a different leadership style. While Talib and Ward have moved on from that legendary, Super Bowl 50-winning defense, Roby, along with Harris and safety Darian Stewart, keep the flame of the ‘No Fly Zone’ alive; nurturing it as it evolves into something bigger than just the men who once played in it. “If you go out there and you have certain expectations as to how you should play — and how everyone with you should play — then you’re going to play to that expectation. If you go out there [thinking,] ‘I’m just going to do my job. Let me just not give up anything,’ then you’re going to play soft, you’re going to play timid, you’re not going to be as good. The most dominant players and teams are aggressive, and they have a high expectation of what they expect when they go out on that field,” Roby said. 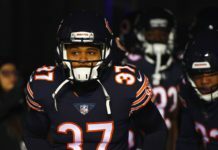 To that end, Roby and Harris have already been working with their younger, less-experienced teammates; third-year safety Will Parks and second-year corner Brendan Langley got a lesson in Dallas, where Harris conducted training sessions during the offseason, regarding the tenets of the ‘No Fly Zone’ religion. Roby’s likely promotion to starter comes at a critical time in his career. Unless the Broncos get something done to extend his contract during training camp, he’ll be an unrestricted free agent after the season. At only 26, Roby has plenty of prime years ahead of him at one of the league’s most vital positions. With a good season, Roby — who was rated by Pro Football Focus as the 20th best cornerback in the entire NFL in 2017, and the fifth-best in coverage among corners that took fewer than 700 snaps — stands to cash in. Elway and the Broncos are fully aware of this, of course; knowing that Roby would need a substantial raise in the near future was a significant factor in the decision to trade the highly paid Talib. 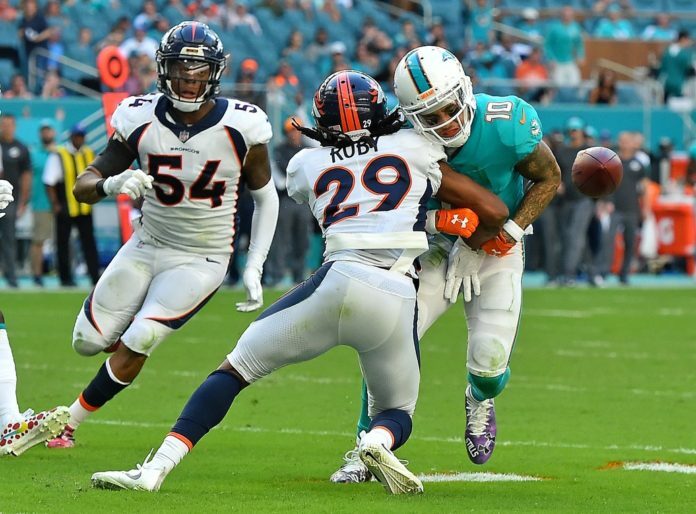 Though Talib was tremendous for the Broncos over the last four seasons, the team is betting on the younger, cheaper and less-experienced Roby. Thus, the questions. Roby’s looking forward to answering them… on the field. “It is what it is… I’m getting tired of hearing about it, honestly. It is what it is, and I have to wait until the season to show that there’s no drop-off,” Roby said. “I don’t feel any pressure. I just want to be better than I was last year. I see myself as a guy who goes out there, balls hard, [creates] a lot of turnovers. That’s what I’ve always been my whole life. I’m not really competing with anyone. “I want to be the best, but I also want to be the best me, and I want to take the ball away as much as possible and do my job. There’s really no pressure. Every year in the league you have to get better and better and better. There are always guys coming up, trying to take your spot. It’s not really pressure on that end; you just want to be the best you.